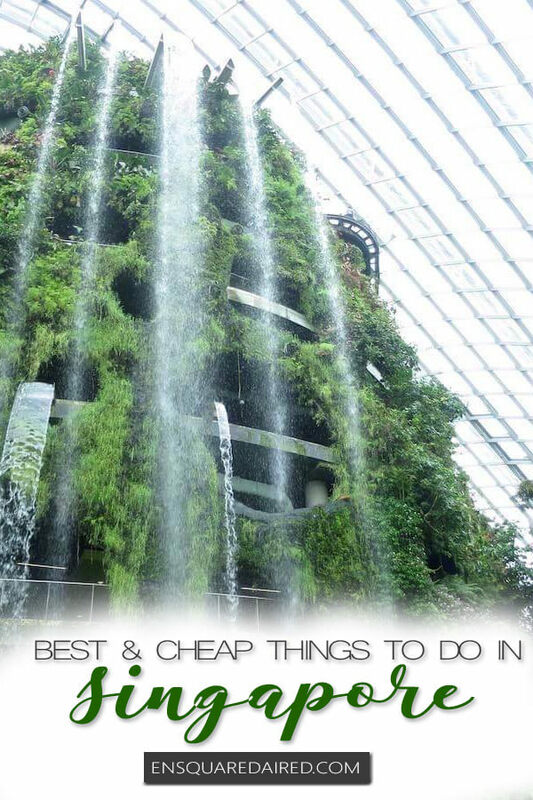 The best things to do in Singapore won’t break your wallet! When friends and family heard that I was travelling to Singapore for four days, the typical response was, “That’s a long time.” I’m not sure which country these people went to because four days in Singapore flew by for me. Each day was long and filled with tons of things to do. Even after four days in Singapore, I still wish I had more time to see, do and eat in Singapore. As luck would have had it, my Singapore trip was filled with sunny (and sweltering!) days, even though the weather forecasted for torrential rains during the week of my visit. I’d wake up every morning feeling anxious about the rainy weather, but nope, no rain at all! The weatherman lied big time! You’ll also notice that my itinerary included a mix of mall visits. These mall visits were necessary during the time that I visited because Singapore was extremely HOT! I’ve visited many tropical countries in my lifetime and my parents grew up in tropical heat, so thriving in hot weather is in my blood. But Singapore… the humidity was something else! Each time I left an air-conditioned building, I felt as like I was hit by a wave of heat for the first 20 seconds before I would adjust to the temperature. If you’ve read my Ayutthaya Thailand posts, you’ll recall the insane amount of times I complained about the heat. Well…let’s just say Singapore felt way hotter than any city in Thailand. 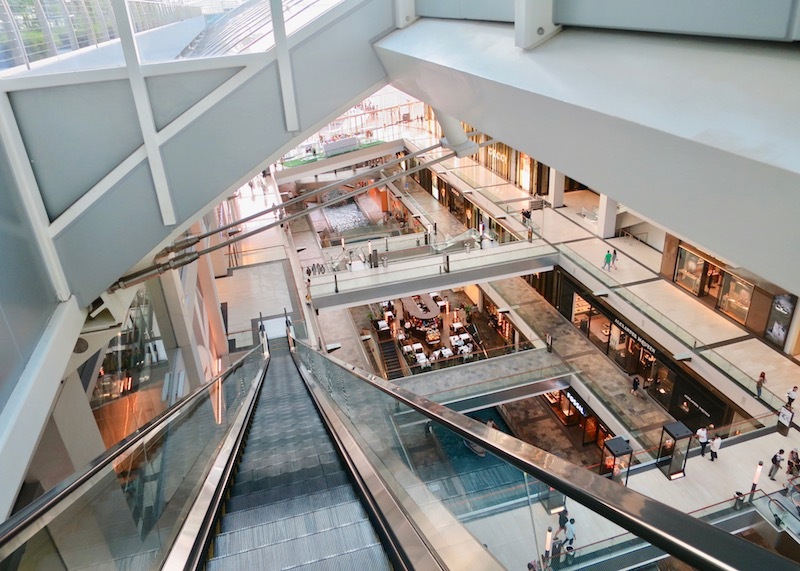 The malls saved me from the sweltering heat! Here’s a rough breakdown of my four-day itinerary that will give you a starting place if you’re planning a visit to Singapore. My agenda pretty much details every place I visited during those four days. You’ll also notice that I visited the Gardens by the Bay twice! The first visit was breathtaking because I had the chance to catch the Rhapsody light show, but awful (especially for photos) because every square inch of that place had visitors! That’s why I planned a second visit to the Gardens by the Bay for another early morning adventure. 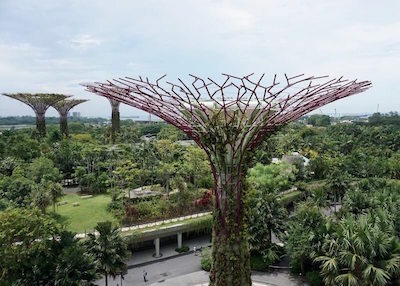 Gardens by the Bay is magical thanks to the gigantic trees. 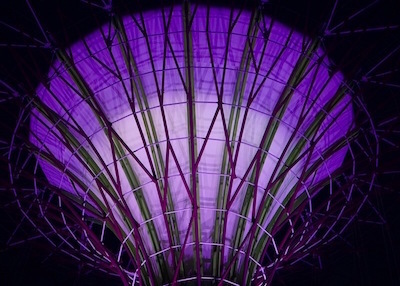 These supertrees are between 9 – 16 stories tall and are a beautiful fusion of nature and technology. This public park has an incredible musical show where the trees change colours at night. 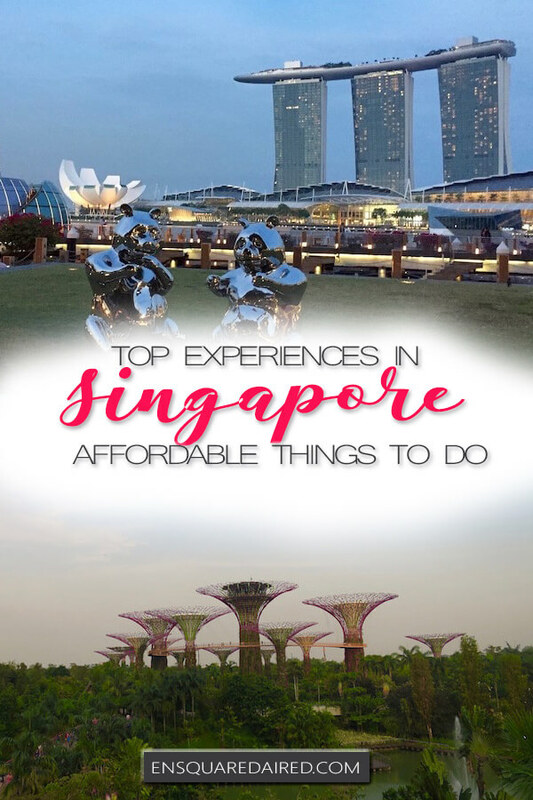 You can also walk on the OCBC Skyway to get a bird’s eye view of Singapore, as well as the gardens. 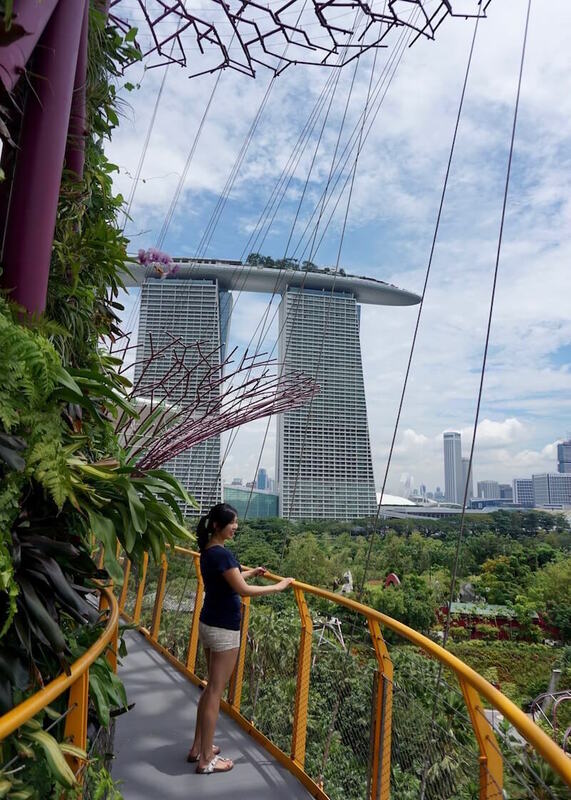 The suspended walkway connects to three trees and is an absolute must if you visit Gardens by the Bay! But, I must warn you, if you are afraid of heights, you will get dizzy. 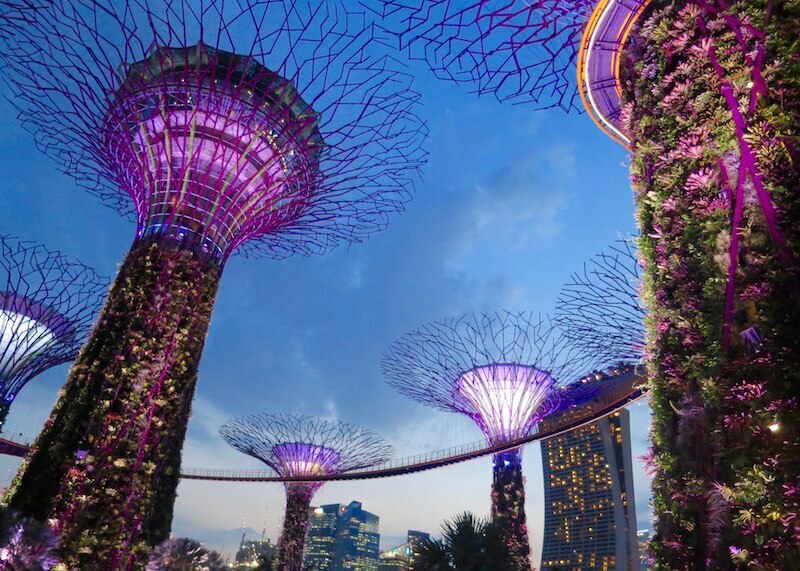 The OCBC Skyway tickets are only available at the Supertree Grove. Expect long waits of up to forty minutes if you visit during busy hours. This long wait is because there’s a limit on the number of people who can be on the walkway. When I went back to the OCBC Skyway in the morning, there was no lineup! The OCBC Skyway is one way, and you can’t walk backward, so take your time crossing the Skyway! 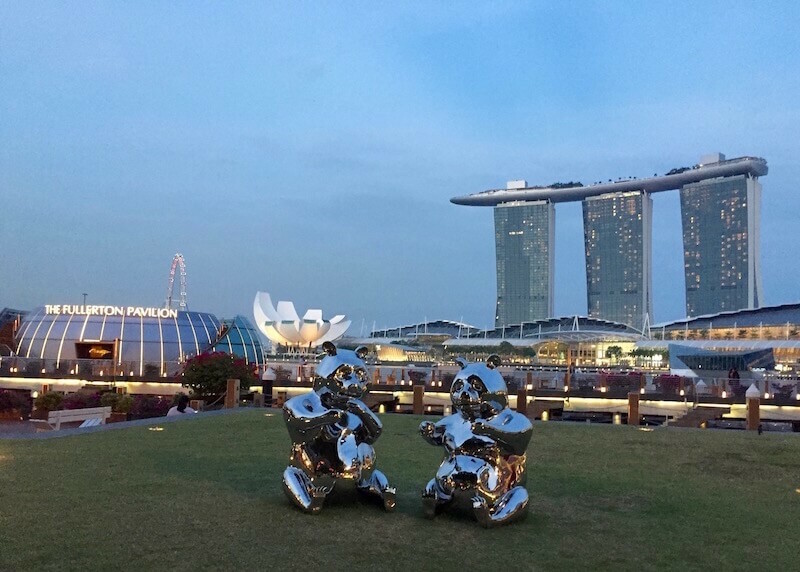 The Marina Bay Waterfront gives a beautiful ground level view of the Marina Bay. An interesting fact is that this Waterfront was built on land reclaimed in the late 1960s. 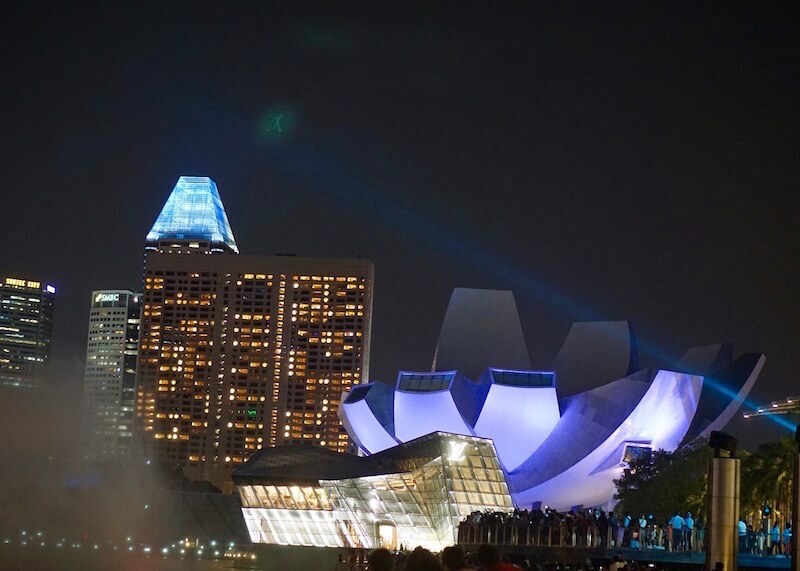 If you are visiting the waterfront at night, make sure to check out the Wonder Full show. Wonder Full is Southeast Asia’s largest water show and uses light, water, and fog to depict a story about life. 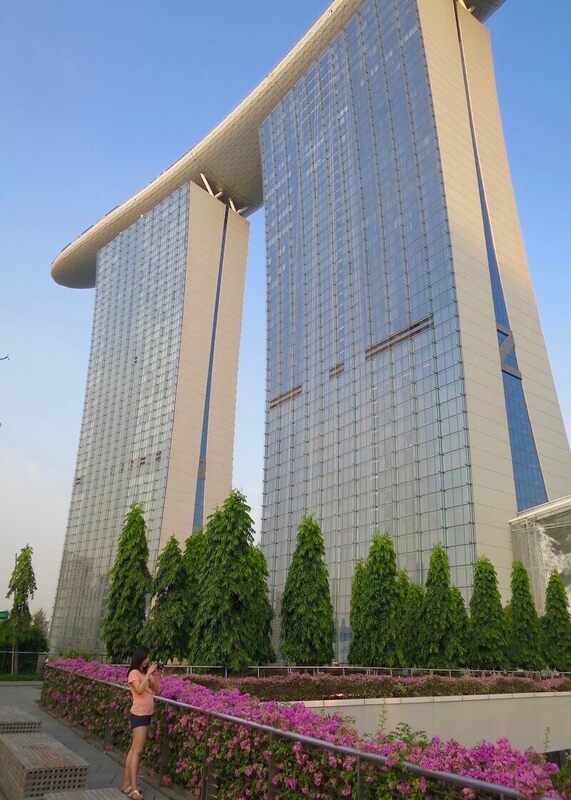 Ah, the beautiful Marina Bay Sands hotel is a must visit, even if you’re not a guest at the hotel (boo hoo!). The architecture is stunning, and the walkway is an excellent way to catch spectacular views of the city. Unfortunately, the famous infinity pool is only for guests at the hotel, which is a bummer for me (more boo hoos!). 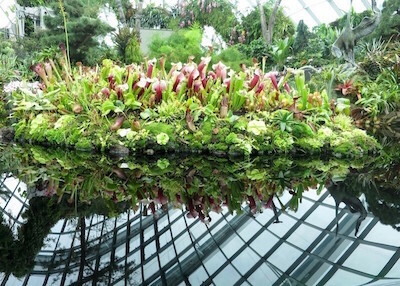 This human-made cloud forest replicates tropical mountain regions and shows the biodiversity of cloud forests. You can descend or climb the Cloud Mountain via a circular path to see exotic plants along the way. While the Cloud Mountain is an enjoyable experience, the best part is the ten-minute video at the end of the walkway. The short documentary highlights what will happen if Earth is five degrees warmer. It is a powerful message that reminds us that it is not too late to change the course of global warming. Watch the short video at the end of the walkway! 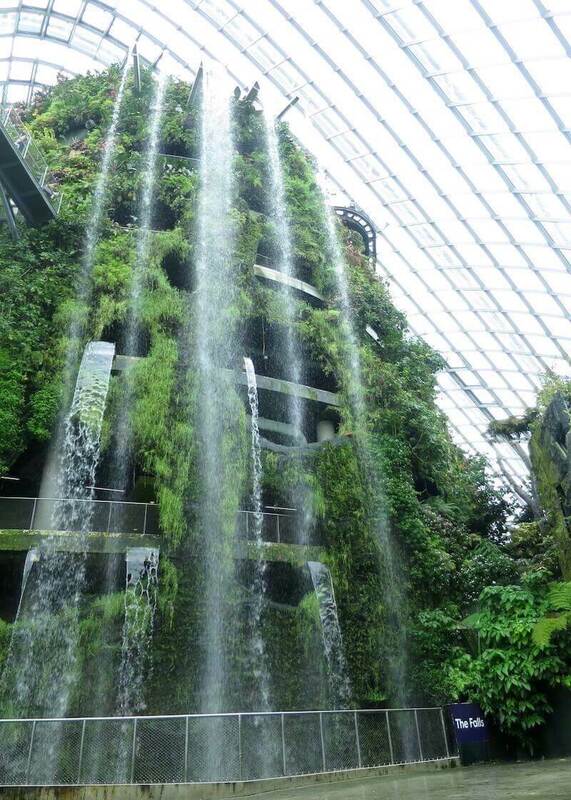 Book your tickets for Cloud Forest, Flower Dome and OCBC Skyway online to save money and skip the line! 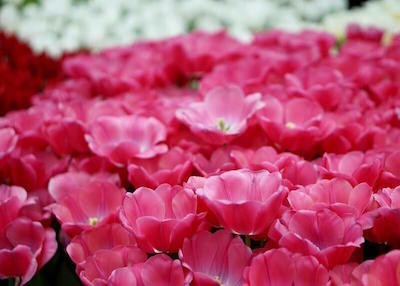 Flower Dome has over seven different gardens and is a great place to visit. 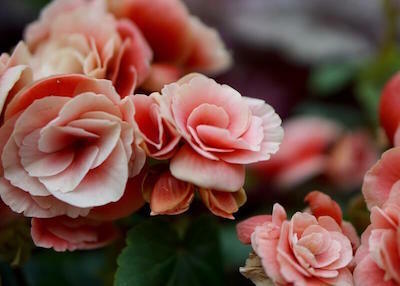 The Flower Dome tries to replicate a mild and dry climate for the tropical plants that it houses. There are a ton of reviews online that say this place is not worth visiting, but I disagree, in my opinion. The plants in this dome are beautiful and gave me many opportunities to take lovely flower photos. Singapore’s Chinatown wins the award for the cleanest Chinatown I’ve ever visited. 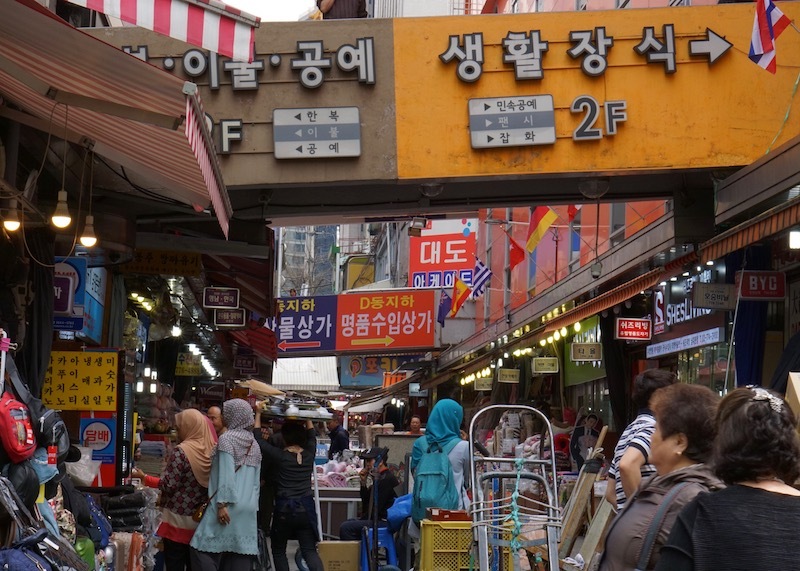 Chinatown is great for shopping, history, and of course food because it’s everywhere. 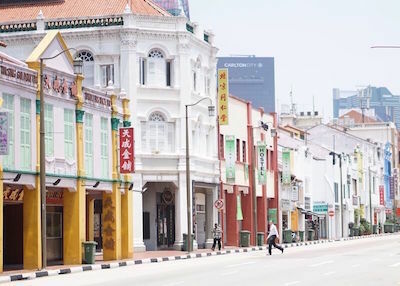 While Chinatown Singapore has subtle distinctions that make it unique, the food and stalls are no different than other Chinatowns around the world. 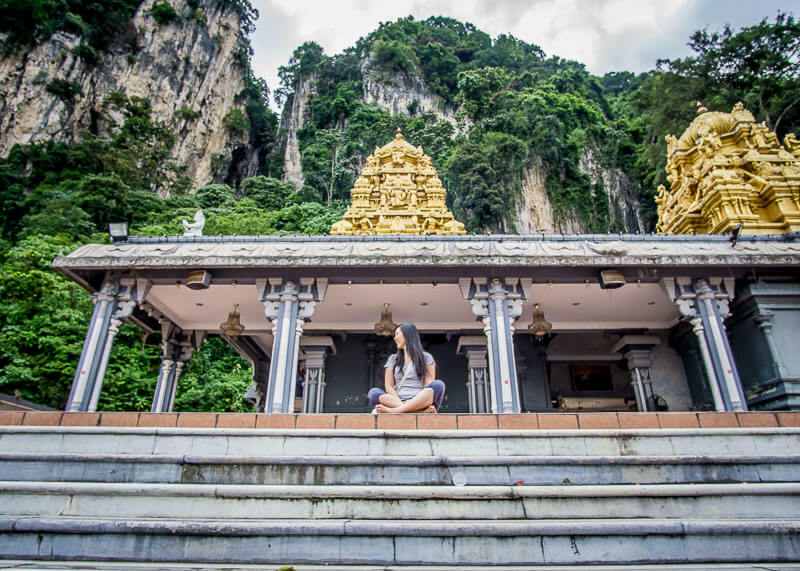 There are also many Buddhist and Hindu temples that are worth visiting in Chinatown. 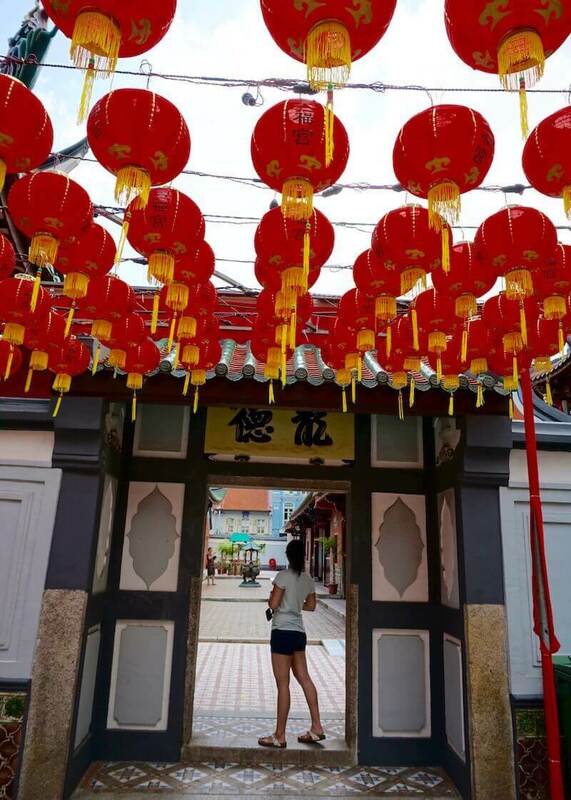 Thian Hock Keng is the oldest Hokkien temple in Singapore, dating back to the early 1800s. 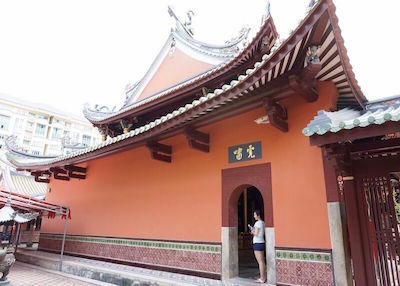 This temple was built by the Chinese Fujian and was a place of worship for those who were far away from home. Chinatown is also where I visited the Sri Mariamman temple and ate my ice cream sandwich and kaya toast. 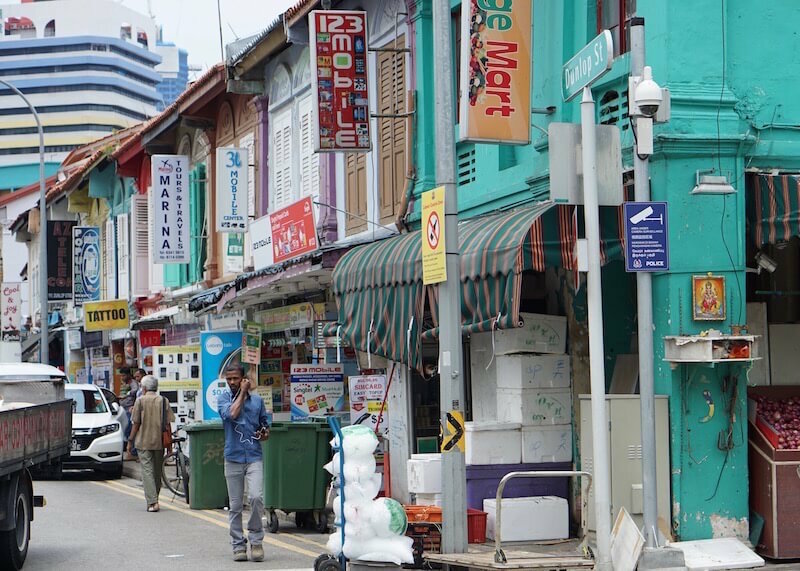 Little India serves as a culture and religious place for the South Asian community. 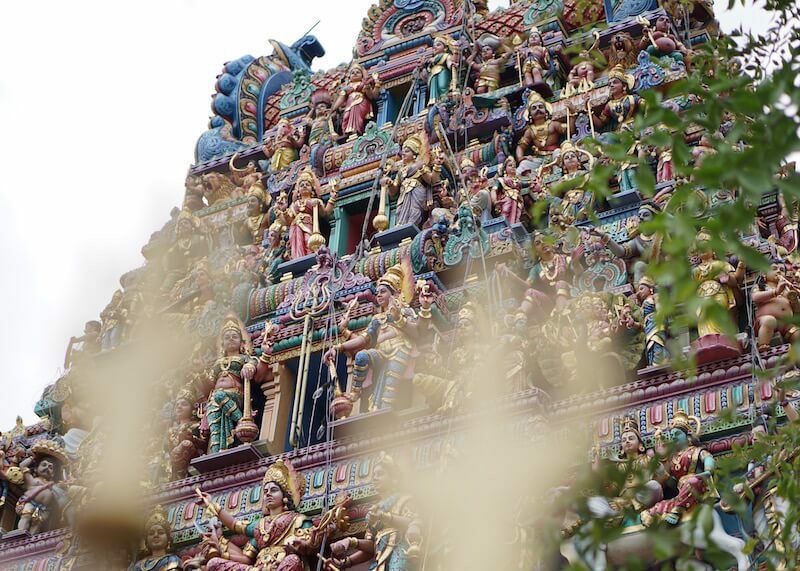 There are lots of temples to visit in Little India, like the Sri Srinivasa Perumal Temple and the Sri Veeramakaliamman Temple. 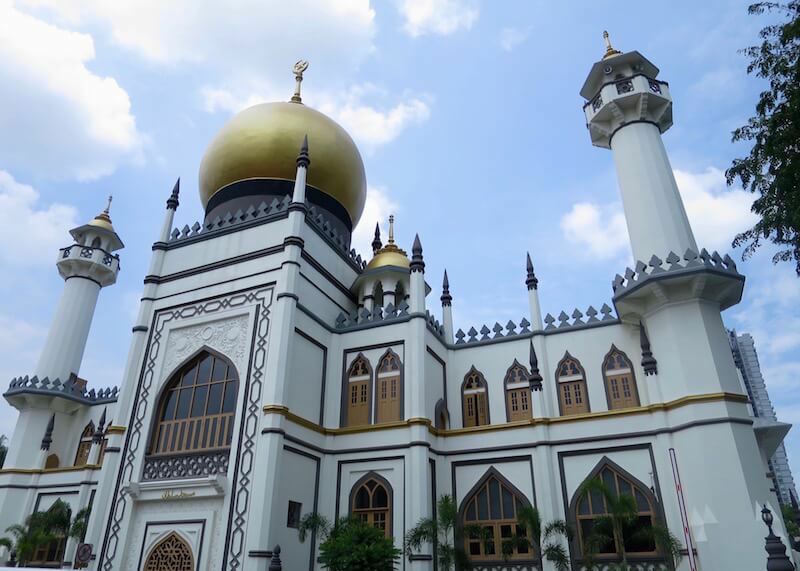 The highlight of Little India is the Masjid Sultan, Singapore’s oldest Mosque. While the exterior architecture is beautiful, the interior is plain to avoid distracting worshipers. As well, the interior houses many informative displays and has guides who will answer questions about the culture. And of course, there are tons of great restaurants nearby that serve delicious food, like Nasi Briyani. Chjmes was an accidental discovery while I was exploring the city. I saw this beautiful building with expensive cars driving in and out of the gates and thought “hmm…let’s check it out!”. At first glance, Chjmes looks like a place of worship, which was the case back in the day. 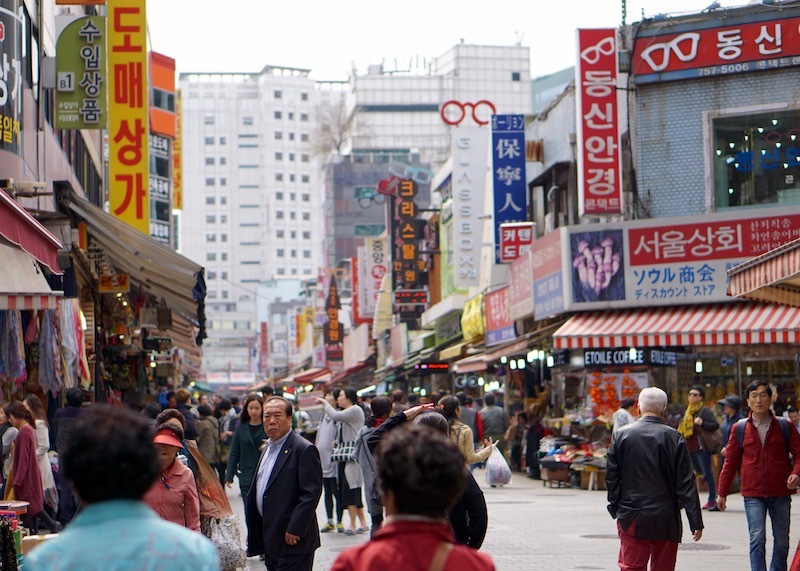 Now, the area is a vibrant place with tons of upscale bars and restaurants. 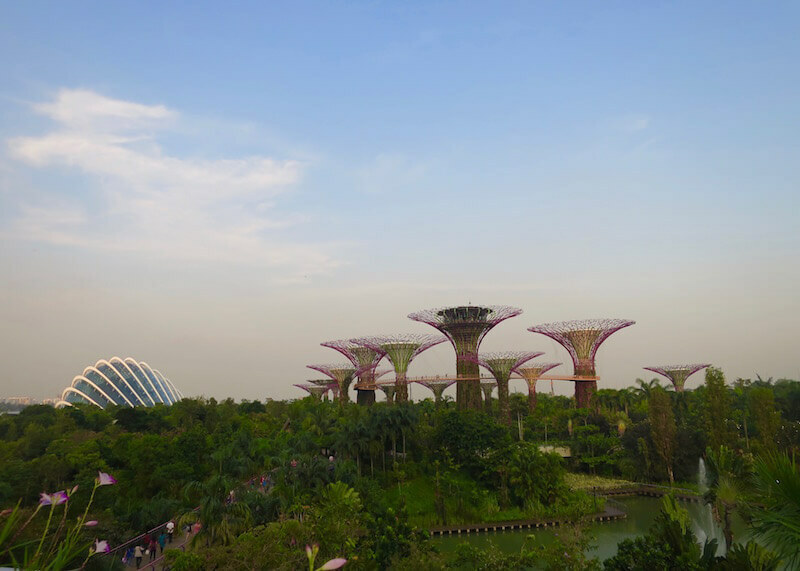 Had I had a few more days in Singapore, I would have wanted to check out Universal Studios in Singapore and would have made time to visit some other unusual places in Singapore. It’s scorching and humid in Singapore. 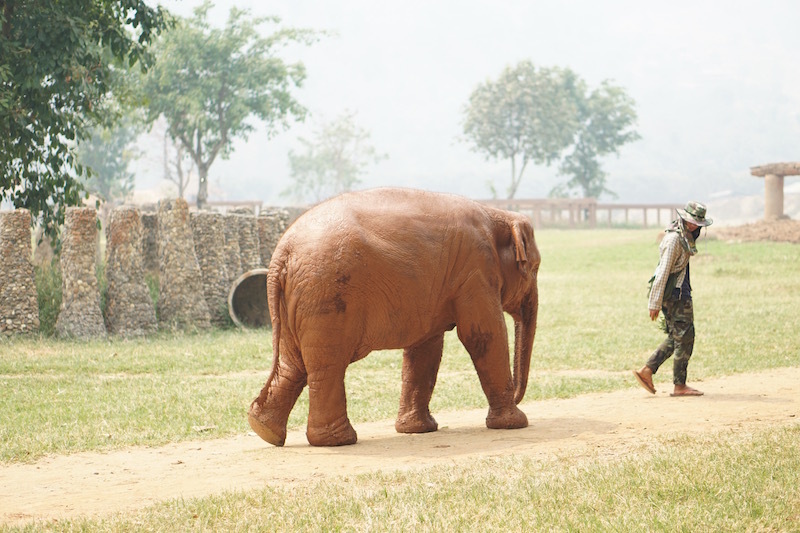 Each time I stepped out of the hotel, I felt like I was entering a fog of heat. Be prepared for that. Thank goodness for air conditioned malls! Book your 4G SIM card online and pick it up as soon as you arrive at the airport! Don’t forget to book travel insurance! 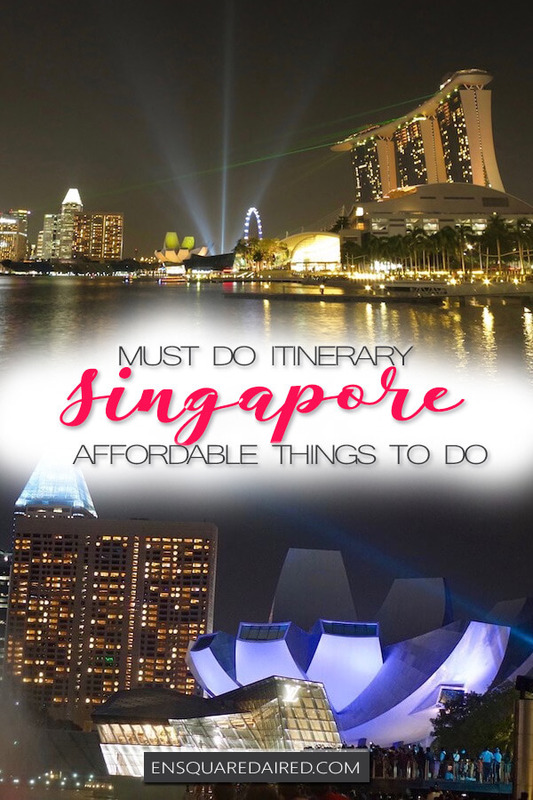 I’m actually planning a four day trip to Singapore later this year – so glad I found this! Your itinerary includes a bunch of stuff I want to see, and some I didn’t even know existed. 🙂 I totally want to go to the Cloud Forest – it looks absolutely gorgeous! Cloud forest is beautiful! But it’s smaller than you’d expect. 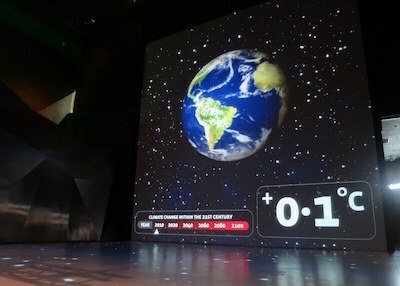 There’s still a lot to learn and the best part of the Cloud Forest is the 10-minute video at the end where they bring awareness about global warming! I hope you have a great time in Singapore! 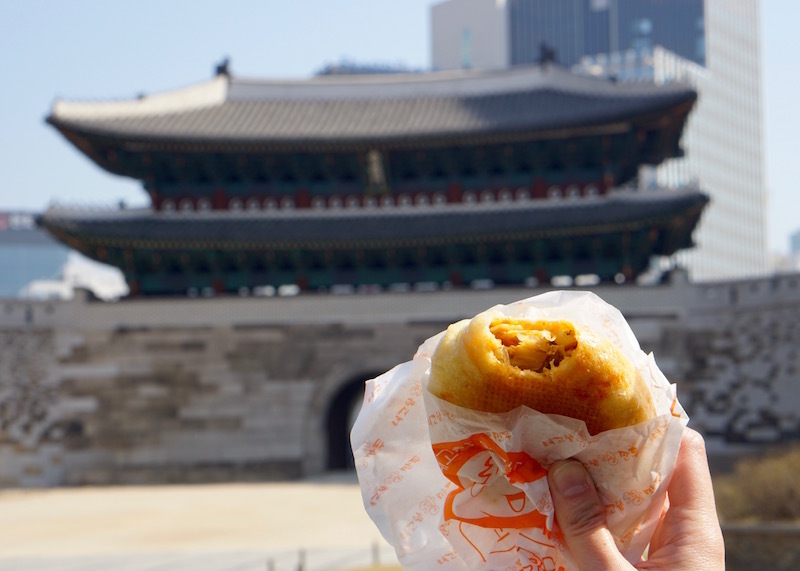 This place is amazing and there are so many good things to eat! 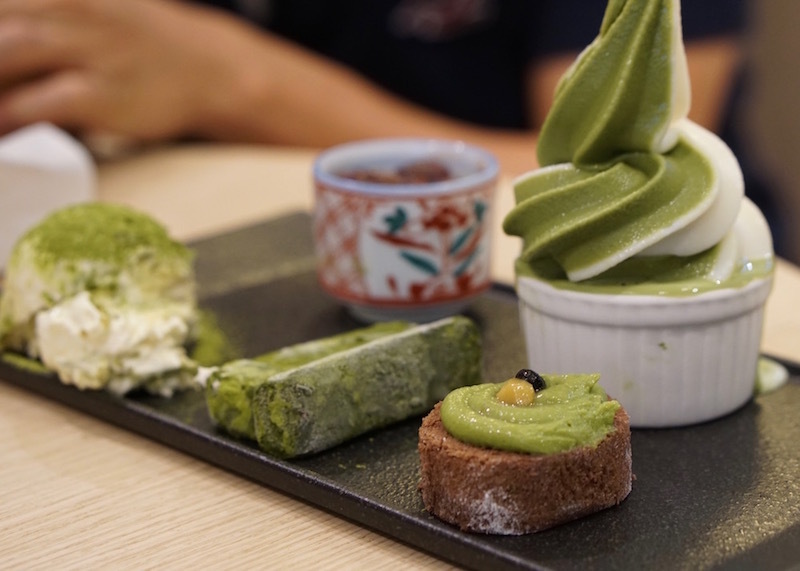 If you’re looking for dessert and food ideas for Singapore, you can check out my posts here: https://www.ensquaredaired.com/singapore-desserts/ and https://www.ensquaredaired.com/singapore-food-guide/. You MUST try LAKSA! Looks like you made the most of your 4 days. 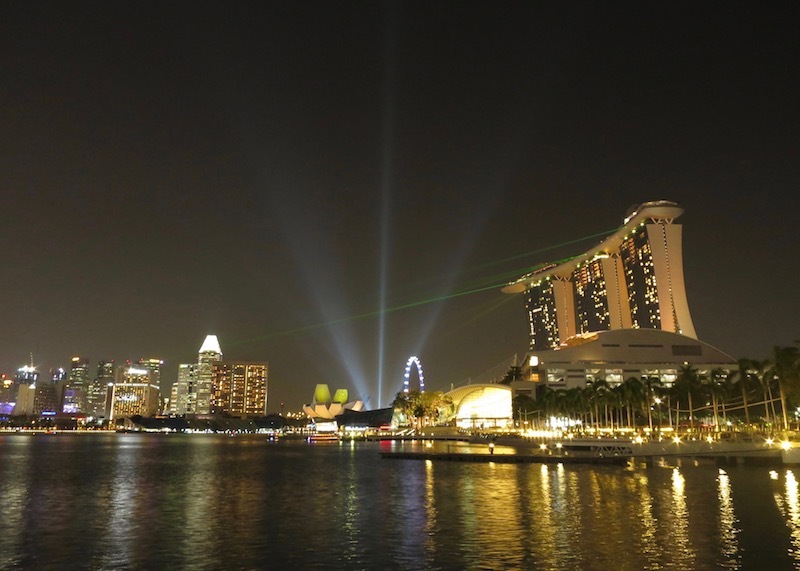 I also want to visit Singapore but really want to stay a night at Marina Bay Sands. I need to save some money first ? I do too! 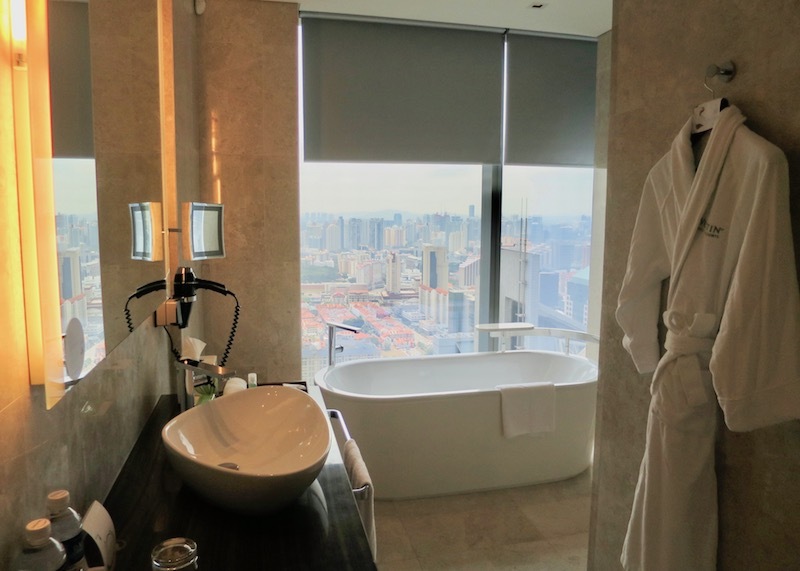 I was adamant about staying for just one night but it was so pricey when I went to Singapore that I decided against it. Maybe someday when I come back! Singapore is a great city. I agree with you…there’s a lot to do and see…all the places you mention are wonderful. 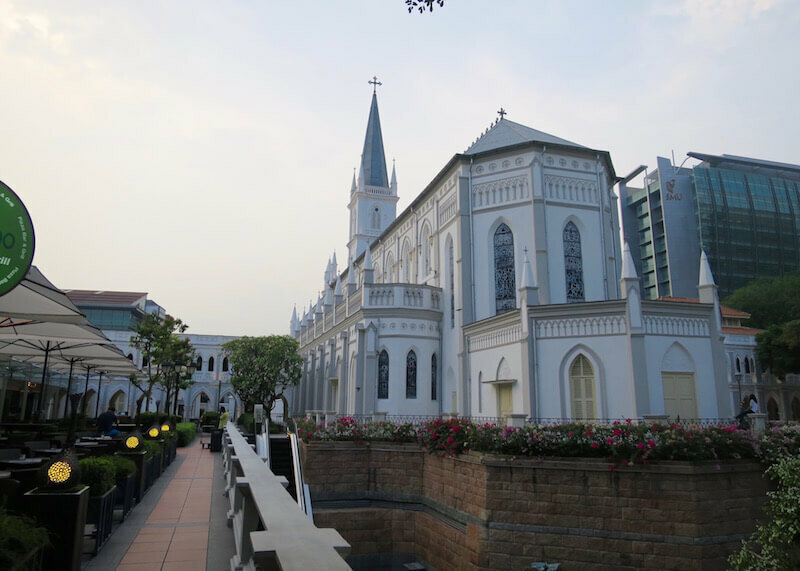 I specially liked the Arab Street for its unusual atmosphere.